2. Often the individual details of how these technologies would be introduced, and the impact that they would have, were very wrong. “For the 21st Century executive, there will be no need to stop work just because you’ve left the office”… a camera can fax your hand written letters back to your secretary! Amazing! 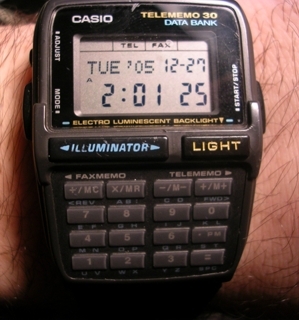 Of course, wearable computing as a concept is not new – and nor was it new when this episode first aired – the calculator watch, for example, had been around since the 1970’s. And along with other Beyond 2000 subjects including autonomous vehicles and the internet of everything, development continues on wearable computing and mainstream adoption is still elusive. That might change this year with the launch of Google Glass. 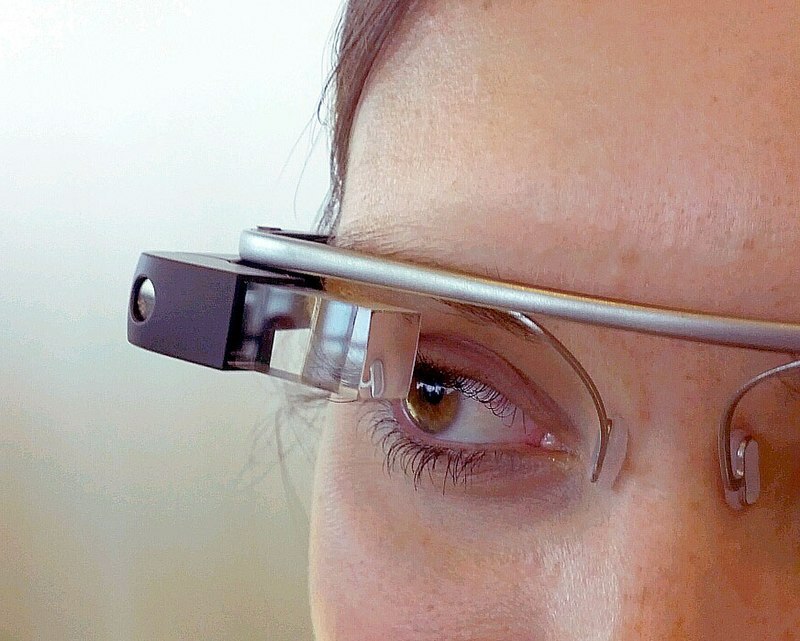 Google Glass is wearable computing developed by Google X, and 10,000 of these units are being tested ahead of a consumer launch expected some time in 2014. Google Glass’s website talks about some incredible applications that go beyond convenience and into new capability – a real-time translation of your voice into another language, for example; or the case study of Alex Blaszczuk, who was left partly paralysed in a car accident en route to a camping trip in 2011 – and through wearable computing is able to become more independent. What impact do you think wearable computing may having on the workplace? It’s been a big year for me and Kienco, and 2014 is shaping up to be even bigger. We’ve been fortunate to work with some amazing clients and partners this year. Some of my personal highlights have included having conversations with people around the world about the connection between workforce strategy and business strategy. At times these have come from surprising places – a glass manufacturer working through the effect of automation, for example; and an international organisation expanding into China – and facing a very different talent market than in their US headquarters. I’ve personally been fortunate enough to speak at and chair some great conferences in Melbourne and Sydney, and to serve as Faculty at The Conference Board’s Strategic Workforce Planning Academies in New York and Brussels. In 2014, Kienco are expanding our Strategic Workforce Planning Masterclass program. This year we have run Masterclasses in Perth, Sydney, Melbourne, Wellington, and Auckland. In 2014 we’ll be going even further abroad, with Masterclasses in Australia, New Zealand, Singapore, Hong Kong, UAE, Canada, and the UK. The year kicks off with trips to the USA, Singapore, and London in Jan and Feb to both teach workforce strategy techniques, and to hear what’s happening in those markets. We will also continue to run private in-house strategy sessions on Strategic Workforce Planning and Agile Analytics. As well as expanding the training program, Kienco is launching two new products next year. The first, readers of this blog may already have heard about. In conjunction with ATC Events, we’ll be running the #masterplan2014 conference in both Melbourne (27/28 March, 2014) and Wellington (1/2 April, 2014). This is shaping up to be a fantastic event with some insightful and interesting speakers from around the world. If you’re interested in hearing more – or if you have a case study and would be interested in speaking at the event – please feel free to contact me. The second new product, which I’m very excited about, is the launch of our workforce analytics dashboard. We’ve been working for the past few months on this product which allows organisations to quickly visualise and quantify workforce data and patterns. It is Kienco’s belief and experience that analytics don’t necessarily give you all the right answers, but they can prompt the right questions. It’s with this in mind that we’ve developed this very flexible software that allows you to take a true data science approach to workforce data – by exploring patterns, trends, and areas of opportunity and risk – real-time, and on mobile devices. We’re currently in private beta, and are preparing for a public launch. Look out for more information and screenshots on our website soon. From me and my colleagues at Kienco, we’d like to thank the readers of this blog and our clients and partners for an incredible 2013 – and we wish you a very happy and successful 2014. Happy New Year! I’ve written before on this blog about the false proxy trap. The false proxy trap occurs when you can’t directly measure what you need, for example productivity, so you invent a proxy, something that’s easier to measure (for example, employee engagement) that serves as an alternative measure – a proxy. The problem, as Seth Godin points out, is that “…When we fall in love with a proxy, we spend our time improving the proxy instead of focusing on our original (more important) goal instead”. It strikes me that HR professionals do this all the time, and that employee engagement and employee satisfaction are, respectively, half-decent and fairly useless proxies for productivity and commitment. Very few organisations understand the connection in their organisation between these measures and the actual results for productivity and turnover – even fewer understand this for different roles in their organisation. Yet we seem willing to accept that they are important things to pursue for all roles, in all circumstances, and in all organisations. If we accept that there is a connection between engagement and these results in general, but don’t verify the connection within our organisation, then we can easily fall into the False Proxy Trap. The result is that we focus on improving engagement scores in ways that don’t drive business results. That can mean a lot of mis-directed time, money, and focus. According to Gallup’s State of the American Workplace report, 2 out of every 5 employees don’t actually know what is unique about their employer and what their employer stands for – and this is even more pronounced amongst employees who are customer facing. It’s not always possible to “engage” your workforce, but surely it is possible to at least communicate your strategy? That, indeed, is a pre-requisite for engagement. If employees don’t understand the purpose of their work, you’re never going to get engagement. A good sanity check is to see whether your employees actually know what your company does, and how their role contributes to that. Recently I was sent an advertisement from a publisher of HR content (below). 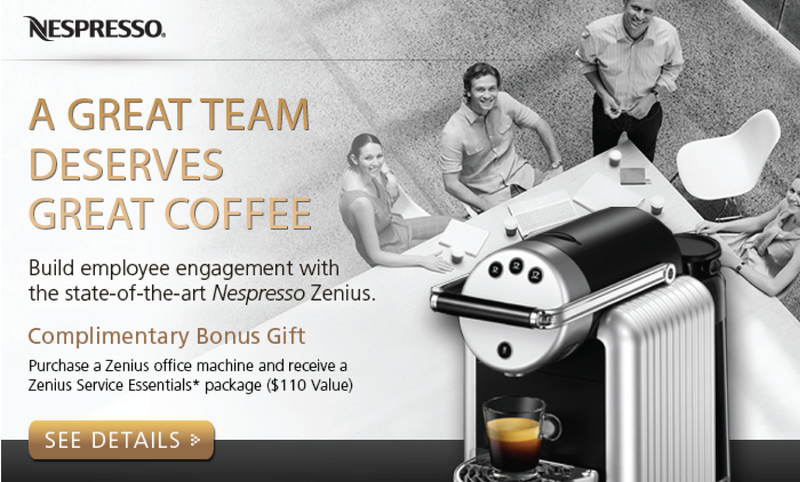 While I’m sure the Nespresso Zenius machines are great, and that your employees would be thrilled to have one, it had me thinking about the situations in which it would actually “build employee engagement” as the advertisement claimed. Satisfied? Perhaps. Engaged? Seems a bit of a stretch. Seems like a false proxy trap to me. Same winemaker did admit to consuming large quantities of wine each lunchtime, but that, to me, is someone who is engaged in his work. Understanding the connection between the work you do and the impact of it on the ultimate consumer. Feeling an obligation to do the best job you can for them as a result. If only everyone in every workforce could be that engaged! From a workforce analytics perspective, it’s critical to define what you mean by concepts like employee engagement (hint: it’s not employee satisfaction), and to understand exactly what the connection is to your business results. Don’t fall into the False Proxy Trap, and be careful of taking generic advice when it comes to people suggesting strategies to “engage” your workforce. By all means buy your employees a coffee machine, they’ll love it – just don’t expect it to drive business results because an advertiser said so. Amazon’s CEO Jeff Bezos has recently announced a plan, and the technical ability, to deliver Amazon packages within 30 minutes of ordering by drone octocopter. You can view the drones here on Amazon’s official Youtube channel. 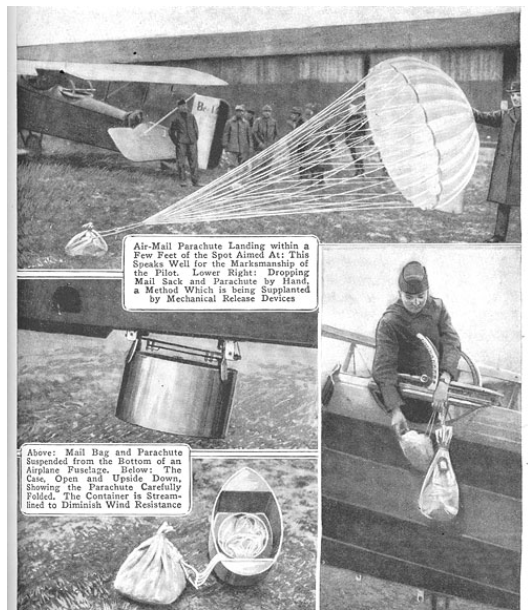 Perhaps when this prediction was made, “sometime” wasn’t expected to be 92 years later – and it took a different technology than a parachute to make mail delivery by air a reality… but in retrospect it’s very interesting that this approach which will no doubt be lauded as visionary is an almost century-old idea that only now is becoming technically feasible. Who bears the impact of underemployment in Australia? Underemployment is an important labour market measure. Most people are familiar with unemployment, that is those people who are not currently working but are part of the workforce. Underemployment, on the other hand, is a measure of as part-time workers who want, and are available for more hours of work than they currently have, and full-time workers who are working part-time hours for economic reasons (for example, because they have been stood down or there’s not enough work available). Underemployment statistics in Australia started being tracked in 1978. This was a time of reasonably high unemployment for Australia (almost 7 percent, with 20 unemployed for every vacancy), and at the same time there was relatively high inflation. * In February 1978, the underemployment rate was at 2.8% while unemployment rate was 6.3%. Fast forward 35 years to August 2013, and the underemployment rate was 7.7% with an unemployment rate of 5.7%. The underemployment rate first exceeded the unemployment rate in 2000, and seems set to stay a larger proportion of labour underutilisation in Australia for the time being. Although unemployment gets all the headlines, it strikes me that as we have a workforce that is transitioning gradually to a more contingent one, then underemployment becomes an increasingly important measure labour market dynamics. So who bears the cost of underemployment? But where we see the most significant difference over the years is between age groups, and between the states. So it seems that inequality in underemployment is slowly narrowing in terms of gender, but getting wider in terms of age groups and between states and territories. The 15-24 year old underemployment rate is 5 times what it was in 1978, and trending upwards; and the gaps between the states is widening. I’m interested to hear your perspectives on what’s happening here, and what the implications may be for 15-24 year olds today, who, in aggregate, are struggling economically with underemployment as they enter the workforce. Will this turn around when they reach the magical 25, or will underemployment become entrenched and continue throughout their careers? Is it the casualisation of the workforce that is causing these trends? * The rise of both unemployment and inflation simultanously is a rare economic combination known as stagflation, which occurred in the USA in the early 1970’s and Australia in the mid 1970’s. This was a new phenomenon globally that contradicted the economic theories of the time. Stagflation was particularly troubling as any policy response to improve either unemployment or inflation, it seemed, would exacerbate the other. 1. People camp out overnight to get Apple products as soon as they are put on sale, and others pay other people to do that for them. 2. Fast Company names Nate Silver, a statistician, as the most creative person in business. 3. The Big Bang Theory, a show about Physicists, enters it’s 7th season, after being the highest-rated comedy on US TV in the 2012-2013 season. 4. Four out of the top five most watched shows in the USA are either Nerdy (NCIS, NCIS: Los Angeles – Law Enforcement and Counterintelligence in the Navy) or Very Nerdy (Big Bang Theory, and Person of Interest, a drama about a machine that analyses big data to predict who’s going to die in a violent crime). Sunday Night Football at #2 is the only non-nerdy show in the top 5. 6. …who was Time Magazine’s person of the year 2010. 7. The top grossing movie this year so far is Iron Man 3, which has the double nerd distinction of being based on a comic book and having the main character modelled on Elon Musk, a Silicon Valley Tech Founder. 9. The top grossing movie for each year since 1999 has either been based on a comic book; is a Pixar, Harry Potter, Pirate, or Star Wars movie; or is set on another planet (Avatar). 11. Google is a verb now. 12. Steve Jobs, co-founder of Apple gets a(nother) bio-pic. 13. This follows the success of Aaron Sorkin’s The Social Network about Facebook. 15. Speaking of Jobs, the JOBS Act is passed into legislation in the USA. It isn’t named after Steve Jobs, but may as well have been – it stands for Jumpstart Our Business Startups, and at the heart of it, makes it easier for “moms and dads” to invest in startups via crowdfunding. 16. Apple has the highest market cap of any company in the world. Google and Microsoft are in the top 10. 17. Twitter and Facebook are cited by many as key tools in the Arab Spring. Vodafone is named as a key to inspiration in the Arab Spring by… well, only by Vodafone themselves actually. 19. Eric Schmidt, (former) CEO at Google, famously uses the line “In God we trust, all others bring data” (source). 20. This week British Airways set up a seriously nerdy billboard advertising campaign, and Both Virgin America and Air New Zealand (here and here) nerdified their in-flight safety videos earlier this year. 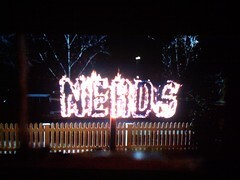 The nerds are taking over everything, and HR isn’t exempt… more on that next post. If you have any more examples of the nerdification of nearly everything, please share in the comments! I’ve just gotten back from the HR Technology Conference in Las Vegas – an amazing event with thousands of attendees, hundreds of products exhibited, and 65+ product launches and announcements. There were some truly innovative new products there, including some very interesting takes on workforce planning… but that’s a topic for another post. Between the exhibition, the conference sessions, and nearly getting mauled by a bear in the Sequoia, my very good friends Trevor and Kevin joined me at Coca-Cola world for a tasting of different Coke products from around the world. 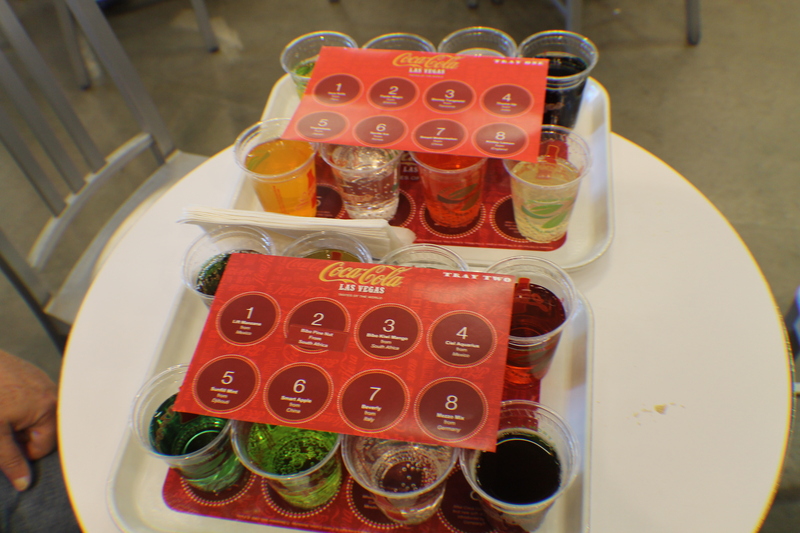 The general consensus was that all but one of them were unpalatable – from the Chinese apple-flavoured one to the one from Djibouti that tasted like mouthwash, most of the drinks were at best very unusual to western tastes. Of course, these products are best sellers in their home markets, because every country has its’ own culture, tastes, and preferences – a lot like organisations, really. Coke gets differentiation. 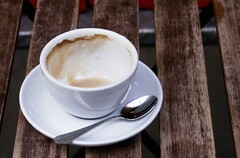 They know that what works in one culture won’t work in another – so they tailor their product offering to their market. Differentiation is at the heart of market strategy, and make no mistake – the talent market is a market too – yet organisations who want to win in the talent market often don’t differentiate. That’s why we have so much “best practice” HR initiatives, and so few outstanding companies who understand their talent market, craft their practices to benefit those market segments, and validate their results continuously. One size does not fit all – in fact, it fits no one. Take a lesson from Coke – understand your market, and craft your offerings accordingly.